Organizing our kids toys has been on my to-do list for quite some time. Now that it’s September, we have the holidays and birthdays approaching which means MORE toys. It was time that I tackled the mess or I wouldn’t be seeing my living room floors again any time soon! I’ve been on the hunt for fun toy bin labels that I could use for our living room which has toys stored everywhere and for in the kids bedrooms. With a house that’s full of boys and girls I wanted something that I could personalize ourselves because we have a million blocks, cars, and books that are split up between kids. So I’ve come up with a fun design that I wanted to share with you. 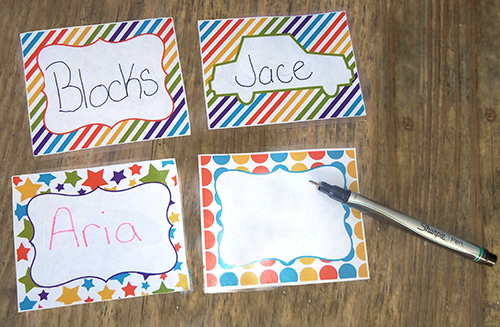 These labels can be customized by you or the kids, after all if it’s something for in their room let them have fun and personalize these by using their own drawings of their toys on the labels. Sharpie is my go to product when I’m crafting or organizing, so of course I had to use my new Sharpie Pens that I purchased at Walgreens to customize my new toy bin labels! I used the Stainless Steel Sharpie Pen (my favorite) and the color assorted Sharpie Pens. These Sharpe Pens give you the quality of writing with a Sharpie Marker but with the performance of a pen that doesn’t bleed through the paper and the variety of colors make these perfect for organizing! 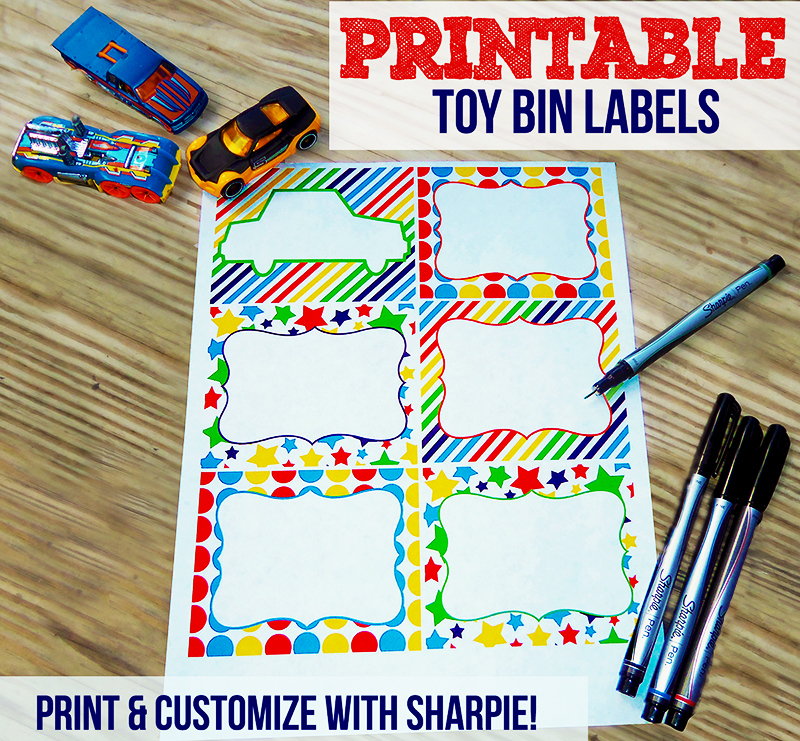 And the free printable toy bin labels, Click Here To Download. First you need to print the labels and then cut around them. Next personalize the labels for whatever you need them for. We used a few for at the bottom of our stairs to collect toys through the day that end up downstairs that should be in the bedrooms. I put the kids names on the bins and they sit near the stairs so when they go to bed they can take their bin of toys with them to put away. It makes for an easy clean up downstairs! 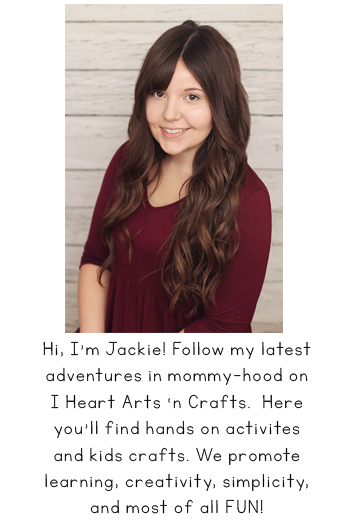 After you’ve personalized your labels, cover them with your contact paper and cut them out again leaving a small trim of contact paper around the label. To attach them to the bins I used Velcro, that way it’s easy to change in the future for changing out the new/old toys! 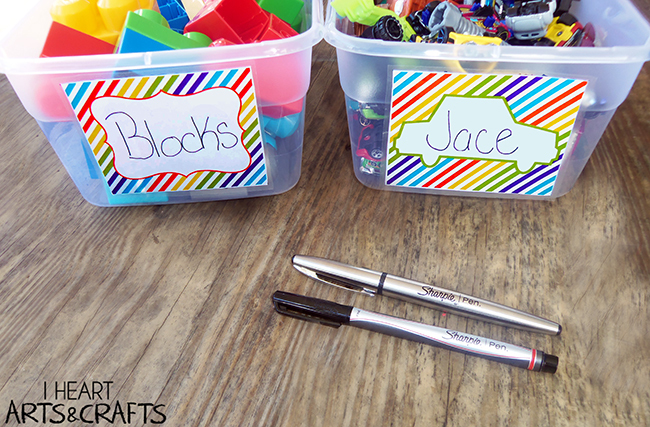 How have you used Sharpies to organize in your house? I use Sharpies for everything! That is a great idea to label toy bins! I use Sharpies for almost everything! I love the new pen designs that they have, now I can really use them everywhere. I love Sharpies. I use them for everything in my house. I really love their color ones. It makes labeling things so easy. That makes the bins more fun.. and know where things go instead of things all over the place! I’m so addicted to sharpies! LOL. I have a HUGE bin of them. I really, really, really need to get my daughter’s toys in order. She’s older so she has tinier toys- Barbie pieces, Littlest Pet Shop and I’ve got to get them under control! I use Sharpies a lot. They are such good markers and you can write practically everywhere. I have like 5 of the colored sharpies in my purse now! I use them to meal plan! Those are really nice labels – great job! I love the labels. I have a collection of Sharpies. I think I own every last one. I just love how smooth these write, when I got them home. awesome labels. my friend is looking for some, so passing this on to her. These are so cute. My little guy is just starting to recognize sight words. These would be a great way to reinforce that work while encouraging a little organization. Labeling just makes life better – nothing like a house of order! I love sharpies! I knew there was a reason I had all these Sharpie colors sitting around. They look pretty and I like having them in my pencil cup, but I should put them to good use! When my kids were younger, we had labels on everything. It was also a great way for them to learn to read and spell. I love the colorful ones you have. We could surely use some cute labels in this house for my kids. Those are fun, colorful and adorable. And yes, I love me some Sharpies! They are awesome to have and very handy. Thanks for sharing! I like the idea of using velcro instead of a sticky label!! 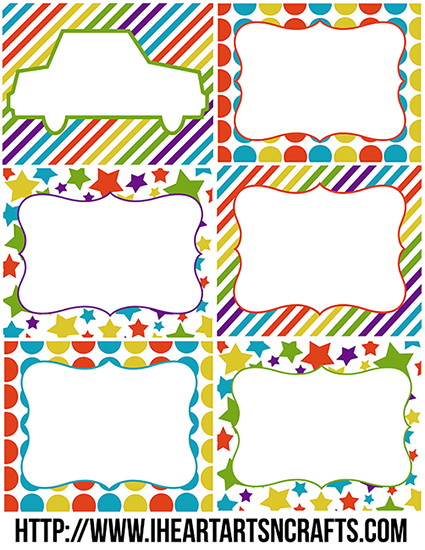 Adorable printable and I love the fact that you use Velcro so you can change them our, that’s pure genius! I need to get on this and get the toys in my house organized! So organized. I love it! 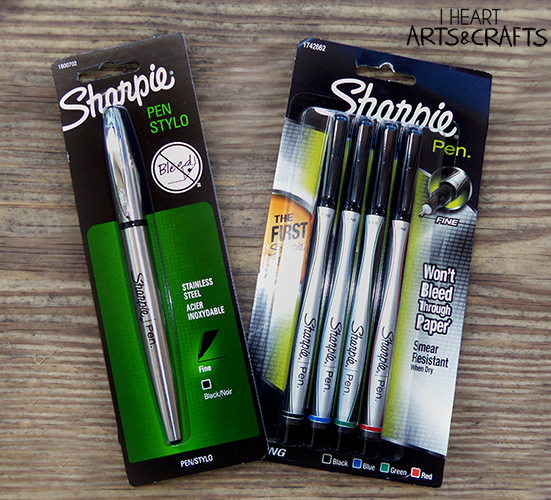 The fine point colored sharpies are my absolute favorite pen – I use them for everyday writing! 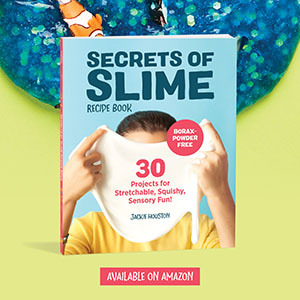 Jackie, you make such cute printables! I love your creative side. 🙂 And organization and sharpies are awesome too! Such a great idea. Love the cute design! I adore Sharpies! I have them in every color imaginable. I love the idea of having a bin a the bottom of the stairs. My daughter doesn’t like making multiple trips up to her room so this would be perfect. Thanks for the idea!